Which Emerging Technologies are “Weapons of Mass Destruction”? The UN has created several multilateral mechanisms to pursue those objectives, including the Nuclear Non-Proliferation Treaty, the Chemical Weapons Convention, and the Biological Weapons Convention. Progress on these fronts has always been slow and limited, however. 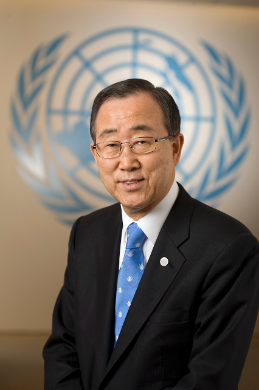 The Secretary-General observed that nuclear non-proliferation efforts have recently “descended into fractious deadlock,” but the effectiveness of those and similar UN-led efforts have long been challenged by the dual realities of (1) rapid ongoing technological change that has made WMDs more ubiquitous than ever, plus (2) a general lack of teeth in UN treaties and accords to do much to slow those advances, especially among non-signatories. I will now say a few words about new global threats emerging from the misuse of science and technology, and the power of globalization. Information and communication technologies, artificial intelligence, 3D printing and synthetic biology will bring profound changes to our everyday lives and benefits to millions of people. However, their potential for misuse could also bring destruction. The nexus between these emerging technologies and WMD needs close examination and action. As a starting point, the international community must step up to expand common ground for the peaceful use of cyberspace and, particularly, the intersection between cyberspace and critical infrastructure. People now live a significant portion of their lives online. They must be protected from online attacks, just as effectively as they are protected from physical attacks. Disarmament and non-proliferation instruments are only as successful as Member States’ capacity to implement them. The Secretary-General’s inclusion of all these emerging technologies in a speech about WMDs and the dangers of chemical, biological and nuclear weapons raises an interesting question: Are all these things actually equivalent? Does a danger exist from the continued evolution of ICTs, AI, 3D printing, and synthetic biology that is equal to the very serious threat posed by chemical, biological and nuclear weapons? On one hand, it is tempting to say, Yes! If nothing else, most of us have seen more than enough techno-dystopian Hollywood plots through the years to understand the hypothetical dangers that some of these technologies pose. But even if (like me) you dismiss most of the movie plots as far-fetched Chicken Little-ism meant to drum up big box office, plenty of serious scholars out there have sketched out more credible pictures of the threat some of these new technologies might pose to humanity. Information platforms can be hacked and our personal data or security compromised. 3D printers can be used to create cheap, undetectable firearms. Robotics and autonomous systems can be programmed to kill. Synthetic biology might help create genetically-modified super-soldiers. And so on. Indeed, that is the right question, and quite a profound one. The problem associated with all such “upstream governance” and preemptive controls on emerging technologies is determining how to avoid hypothetical future risks without destroying the potential for these same technologies to be used in life-enriching and even life-saving ways. Solutions are illusive and involve myriad trade-offs. More generally, it’s not even clear that they would be workable. That is especially true when you expand the scale of governance to include the entire planet. It seems unlikely, for example, that a hypothetical UN-led Synthetic Biology Non-Proliferation Treaty, 3D-Printed Weapons Convention, or Agreement on the Peaceful Use of Cyberspace are going to be workable solutions in a world where these technologies are so radically decentralized and proliferating so rapidly. At least with some of the older technologies, the underlying materials were somewhat harder to obtain, manufacture, weaponize, and then distribute/use. But the same is not true of many of these newer technologies. It’s a heck of lot easier to get access to a computer and 3D printer than uranium and enrichment facilities, for example. Generally speaking, permissionless innovation should remain the norm in the vast majority of cases, but there will be some scenarios where the threat of tangible, immediate, irreversible, catastrophic harm associated with new innovations could require at least a light version of the precautionary principle to be applied. In these cases, we might be better suited to think about when an “anti-catastrophe principle” is needed, which narrows the scope of the precautionary principle and focuses it more appropriately on the most unambiguously worst-case scenarios that meet those criteria. “But most [emerging technology] cases don’t fall into this category,” I concluded. It is simply not the case that most emerging technologies pose the same sort of tangible, immediate, irreversible, catastrophic, and highly probably risk that traditional “weapons of mass destruction” do. And that gets at my problem with that recent address by UN Secretary-General Ban Ki-Moon. By so casually moving from a heated discussion of traditional WMDs into a brief discussion about the potential risks associated with ICTs, AI, 3D printing and synthetic biology, I really worry about the sort of moral equivalence that some might read into this speech. Again, these things, and the threats they pose, are simply not the same. Yet, when the UN Secretary-General sandwiches these technologies in between impassioned opening and closing statements about the need “to take action” because “the stakes are simply too high to ignore,” it seems to suggest he is prepared to speak of them all in the same breath as traditional “weapons of mass destruction” and suggest similar global control efforts are needed. I do not believe that is sensible. Does this mean we just throw our hands up in the air and give up any inquiry into the matter? Of course not. As I noted in my review of Wallach’s book, some very sensible “soft law” approaches exist that are worth pursuing. Soft law approaches can include a wide variety of efforts to “bake a dose of precautionary directly into the innovation process through a wide variety of informal governance/oversight mechanisms,” as I noted in my review of Wallach’s book. “By embedding shared values in the very design of new tools and techniques, engineers improve the prospect of a positive outcome,” Wallach says in his book. Many soft law or informal governance systems already exist in the forms of so-called “multistakeholder governance” systems, informal industry codes of conduct, best practices, and other coordinating mechanisms. But these solutions would likely fall short of addressing some extreme scenarios that many people are worried about. Toward that end, when the case can be made that a particular application of a new general purpose technology will result in tangible, immediate, irreversible, catastrophic, and highly probably dangers, then perhaps some international action should be considered. For example, a case can be made that governments (and perhaps even the UN) should do more to preemptively curb the most nefarious uses of robotics. There’s already a major effort underway called the “Campaign to Stop Killer Robots” that seeks a multinational treaty to stop deadly uses of robotics. Again, I’m not sure how enforcement will work, but I think it’s worth investigating how some of the uses of “killer robots” might be limited through international accords and actions. Moreover, I could imagine an extension of existing the UN’s Biological Weapons Convention framework to cover some synthetic biology applications that involve extreme forms of human modification. That being said, policymakers and international figures of importance like UN Secretary-General Ban Ki-Moon should be extremely cautious about the language they use to describe new classes of technologies lest they cast too wide a net with calls for controlling “weapons of mass destruction” that may be nothing of the sort. Next post: DOT’s Driverless Cars Guidance: Will “Agency Threats” Rule the Future?